Walk your way to permanent weight loss. 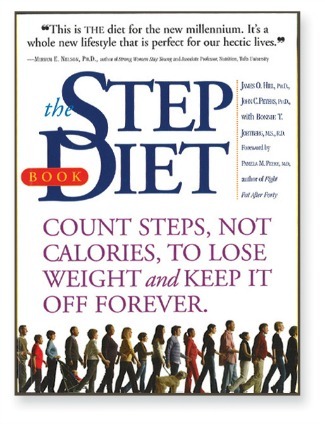 Developed by the weight control experts who founded America on the Move, the Step Diet Book is a revolutionary program that will stop weight gain in its tracks and help you lose weight sensibly…and permanently. Based on the core concept of energy balance – if you want to lose weight, the calories that go in can’t exceed the calories burned by metabolism and activity – the Step Diet offers a twofold breakthrough: It emphasizes an exercise that everyone can do – walking. And it converts your metabolism, activity, and food into steps, which means that dieters can stop counting those calories, carbs and fat grams.